“You were 23 then, you are 9 now. I am going to displace another 3 of you, and I am going to make life hell for you.” – Galou Girou, Chief of Larnaca Prison, on 5 August 2011, threatening the remaining of the asylum-seekers beaten during the 12 July police attacks in Cyprus. 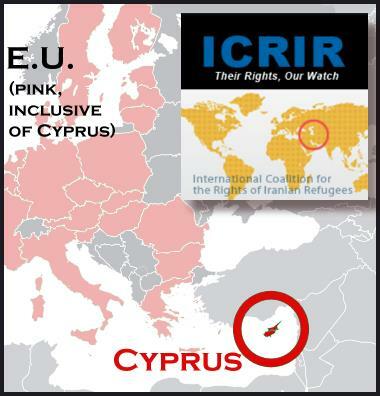 August 5, 2011, Washington D.C. — On 15 July 2011, we issued a press release detailing a violent attack by prison authorities against Iranian and other refugees held for migration-related reasons in the Famagusta Detention Center in Larnaca, Cyprus. At that time, we were clear that all asylum-seekers who were attacked by the Cypriot authorities required urgent international assistance in being removed from the facility. We demanded formal protection for these people – from the Cypriot government, from the Red Cross, and from UNHCR. No protection of the asylum-seekers, nor condemnation of the police brutality, has been forthcoming from any of the aforementioned agencies. As a result, from among those who witnessed or were beaten during the attacks, 3 members of a Baha’i family seeking protection in Cyprus have been illegally deported back to Iran. A Syrian Kurd asylum-seeker whose application had been denied (as are most in Cyprus) has been deported back to the wholesale slaughter in that country. A Christian asylum-seeker publicly affiliated with a Christian Cypriot radio station was psychologically browbeaten by the authorities to the point that he acceded to their demands to leave Cyprus and return to Iran, where he is considered an apostate and subject to detention, torture, and even execution. The whereabouts of 9 other witnesses or victims of the attacks are unknown. A few hours later, it is reported that the authorities came and told Ahmad Hosseini to pack his belongings, and they removed him from the facility. His whereabouts are unknown to us. We urgently reiterate our demand that the remaining victims and witnesses of the Larnaca police attacks are immediately released from the Larnaca facility or other facility where they may have been transferred. They must be immediately provided with protection by either the UNHCR or the International Red Cross. We hold the Cypriot government, the UNHCR, and the International Red Cross fully responsible for the fate of those deported since the attacks in an obvious effort to cover up the crimes of the Cypriot government. We hold the Cypriot government, the UNHCR, and the International Red Cross responsible for the fate of each of those victims or witnesses who were physically tortured on 12 July 2011 and whose torture has continued in the form of psychological abuse, pressure, threats, isolation and terrorization of these defenseless people, many who have fled terror in their own countries to seek refuge in Cyprus. We condemn all human rights, refugee rights, political, and other responsible organizations that have maintained their silence on these crimes. The government of Cyprus is a criminal violator of peoples’ fundamental rights. It is not fit to maintain membership in the European Union, let alone ascend to its Presidency next year.